I don’t know about you, but come Thursday night, after a long week at work, there is nothing I enjoy more than thinking about what special libation I’m going to enjoy when the clock strikes 5:00 on Friday. 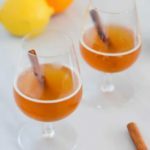 I figured you all would be in the same boat as me, so I’m going to try and start making it a tradition to post a fun drink or cocktail recipe at the end of every week. Sound good? Good, I knew we were all friends for a reason! 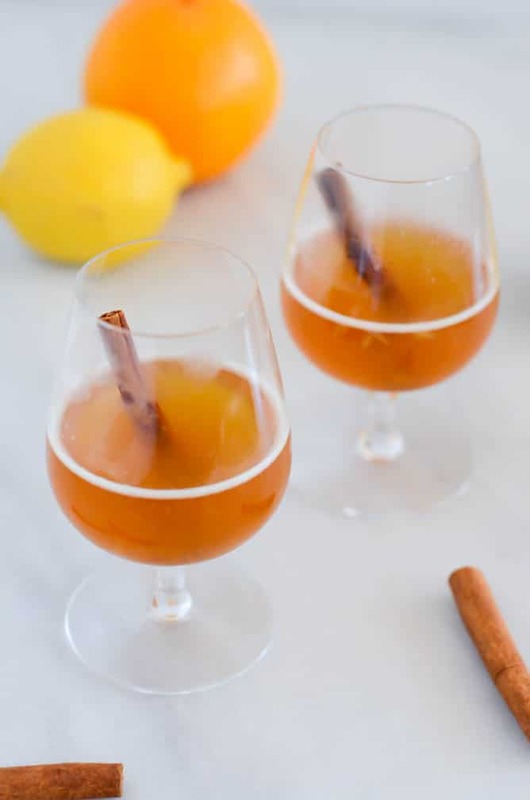 I’m kicking off this tradition (well, unless you count this special gem I posted before Halloween) with a family heirloom hot toddy recipe that a friend of mine entrusted to me a few years ago, so I am a bit hesitant to share it, but I just can’t help myself because it is THAT good. There are only a few months out of the year that it is “acceptable” to make boilo (pronounced “bway-lo”), and we are definitely a good portion of the way through one of those months. I’m only sorry I haven’t shared it with you sooner. 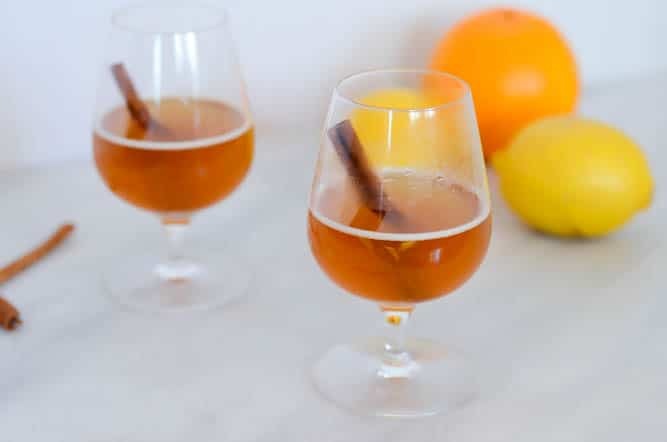 This drink has the perfect blend of sweetness, acidity, spice, and kick from the liquor to make this the only hot toddy you’ll want to enjoy this winter. I made my first batch of the season right around Halloween and boy did it sure taste good when it hit my lips. We combine whiskey (or bourbon, choose your fave! ), honey, orange, lemon, cinnamon, and one secret ingredient (you’ll see soon! ), bring it to a (VERY) quick boil on the stove and, voila! Done. Simple as that. Don’t you want some? 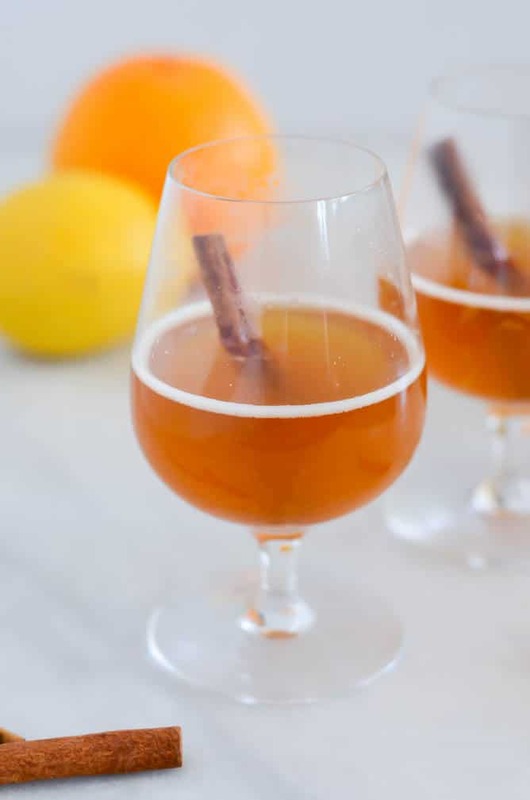 This hot toddy is nearly all alcohol, so you don’t need much. We usually serve ourselves a shot to a shot and a half’s worth in a coffee mug. It has a LOVELY smell (if you like the smell of whiskey, that is) but when it is piping hot in your mug please be sure to close your eyes when taking a big ol’ whiff. The alcohol wafts up in the steam and is quite potent! Often I have to let mine cool a little bit to stop steaming before I can take a sip. Boilo is shelf stable, so no need to refrigerate. I often just pour the mixture back into the empty bottle of whiskey and store it (closed) on the counter. 1 tablespoon caraway seeds Don’t forget these! They are the secret ingredient! Add whiskey and honey to a large saucepan. 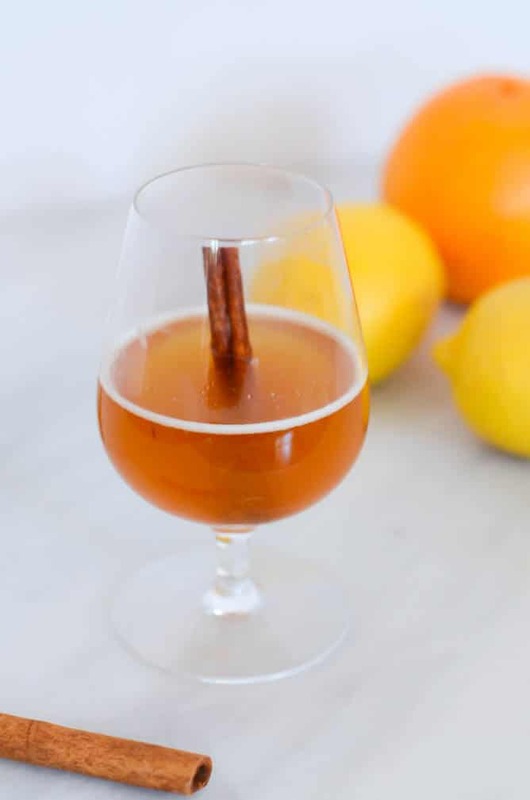 Squeeze juice from both the orange and the lemon into the whiskey-honey mixture, then add the squeezed halves to the mix. Add the cinnamon sticks and caraway seeds. Bring mixture to a rolling boil, then turn off the heat. Your boilo is ready!